Hello and welcome to my blog. Today I have a card to share with you that I didn't make. And it gave me the most wonderful idea. 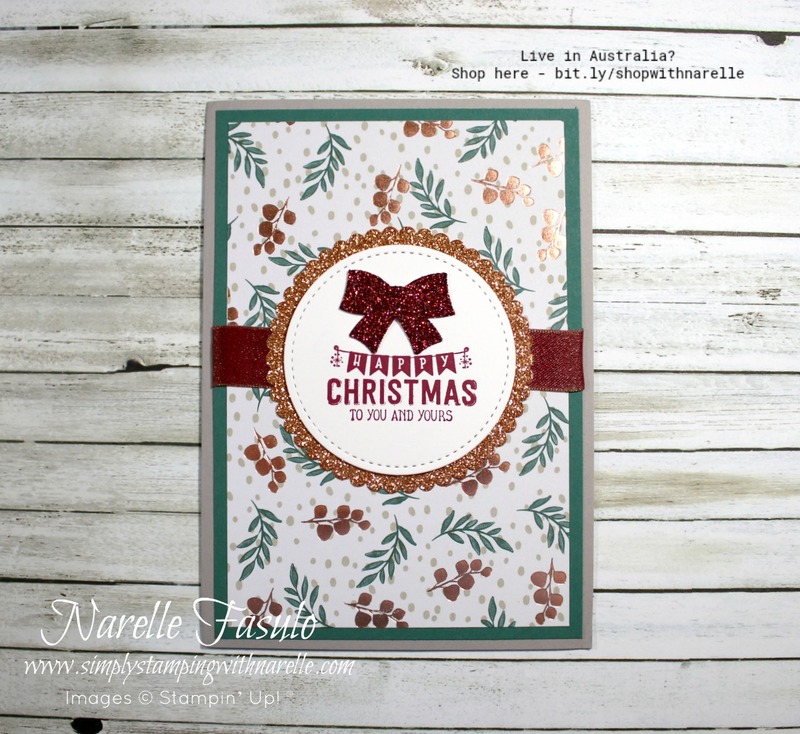 Todays card was made by another Australian demonstrator, Sharon King from Victoria. It was a card I received as part of a Holiday Catalogue Swap I participated in. I am so glad that I joined in, because I received some amazing cards that have given me so much inspiration. Here is Sharon's amazing card. I love the sparkle on this card from the glimmer paper and gold foiling on the patterned paper. Then I looked at the stamp set and was very confused. I hadn't noticed this stamp set in the Holiday Catalogue. I went and grabbed my copy and flicked through it several times but still couldn't find it. I thought I was going crazy or Sharon had made a mistake. I checked the online store and there it was, so yes it had to be a current stamp set. Finally I checked the Annual Catalogue, and what did I find....the most amazing stamp set that I had overlooked so many times. Labels to Love. WOW what a find. 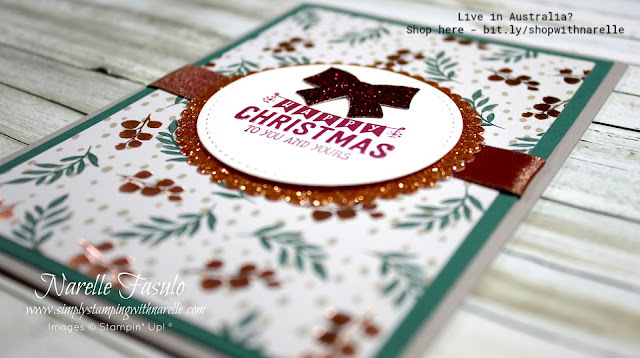 And so clever of Sharon to use this stamp set with some of the new items from the Holiday Catalogue. On closer inspection of this stamp set, it is very versatile and can be used with any pattern paper and accessories. I think it's a brilliant stamp set to have in your crafting stash. And it cordinates with a punch too which makes it much more portable than the sets that need a Big Shot. I hope you have enjoyed Sharon's card today. To purchase any of the products she has used on it, see the product list below.